Money management can be an important concern during your trip to Mexico. While you may find some bigger cities providing points where you can use a credit or debit card to pay, you will find that most small businesses, especially in smaller communities, require cash. You can pay with plastic when you buy Mexico auto insurance thru MexicanInsuranceStore.com. You can generate your Mexican insurance on MexicanInsuranceStore.com in just a few minutes, paying with a major credit card and printing your policy documents right away. Can I Use an ATM in Mexico? You will find automatic teller machines available in various locations. However, access can be very limited in smaller and more rural communities. For example, in Tijuana, you may be able to find ATMs in a few convenience stores. Look for OXXO stores, especially those with gas stations, and note whether there is an indication of a cajero automático in the window. Banks are more likely locations. Additionally, you may find ATMs in larger grocery stores like Calimax. You may even be able to get cash back after using your card for a pin purchase at such a store. One of the most important issues at any ATM or cash back location is safety. Note your surroundings, and don’t get your cash during late hours or in isolated situations. Your need for cash could occur as the result of a medical or vehicular emergency. Remember that when you buy Mexico auto insurance thru MexicanInsuranceStore.com, you also receive travel assistance benefits. For example, roadside emergencies can be addressed by bilingual staff from your Mexico auto insurance thru MexicanInsuranceStore.com. If you have an accident and need legal help, it’s covered along with bail bond money. Your Mexican insurance on MexicanInsuranceStore.com includes this valuable benefit, making it possible to get the assistance you need without tracking down an ATM. Mexico auto insurance thru MexicanInsuranceStore.com comes with FREE Roadside Assistance. You may be surprised to know that ATMs in Mexico can make errors, shorting your or advancing you too much money. In either case, you will need to report the issue to your card company so that an investigation can take place. If you’ve been shorted, the issue may take a few weeks to be resolved. If you’ve been given too much cash, the accounting will eventually catch up, so keep the difference in mind. 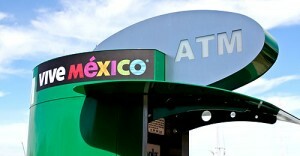 With the access to various ATM’s in Mexico you can easily carry both cash and credit cards for your relative usage. Mexico insurance directs you to the right place.